How to Pick The Right Tripod For DSLR Video? Tripods come in all shapes, sizes, and price ranges. They all seem to do the same thing, but just as cameras or lights, it all depends on your specific requirements for the type of video work you do. Sadly, most folks today are way too focused on what camera to get, and usually don't leave enough in their budget for a good quality tripod. A good quality tripod will last a few years and quite possibly outlast the cameras, which it will carry. With the abundance of choice today, how do you go about choosing the right tripod for video? 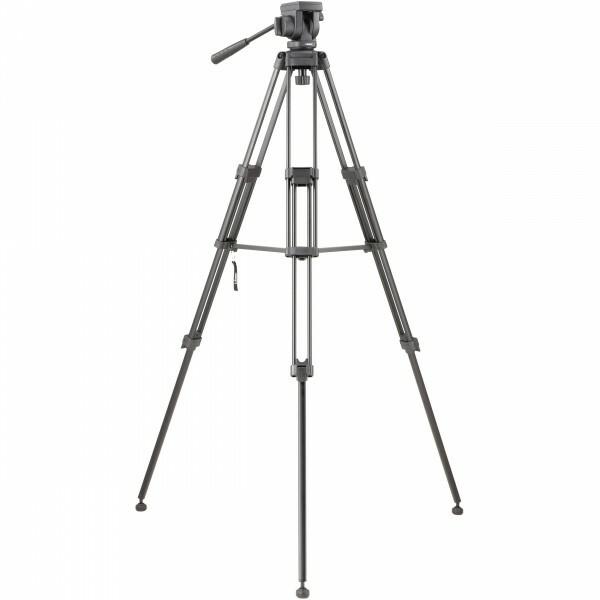 Do you go for a lightweight carbon fibre tripod, do you go for a mid-level spreader, or a floor spreader? What capacity do you need? How much of drag/pan/tilt control do you need...etc? These are all important questions that most people looking for a tripod are faced with, and/or should be asking in order to determine the right fit for their needs. There are a lot of factors at play here. We're all bound by what we can afford, so with that in mind the next step would be to start from the camera side. We've broken down some options based on the type of camera you would be primarily using. Some of you may be coming from a photographic background and quite familiar with tripods for stills, however in the world of video your requirements will be slightly different. Photographers today are constantly being asked to shoot video in addition to stills, which does introduce a bit of a learning curve for some. Sure, light is light, but when it comes to tripods in video – you need a fluid head tripod specifically designed for video. The beauty of small DSLR type cameras like the Canon 5D Mark III, or even newer mirrorless cameras like the Sony A7s, as that they are small enough so you don't have to go for a high payload tripod, which usually support cameras over 10 lbs and can cost over £1000+. 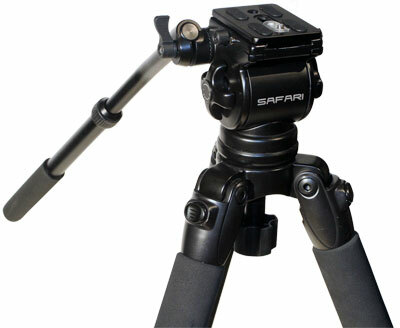 In video you need to think of your tripod setup as a combination of two main parts – the fluid head, and the legs. While you can potentially get away with using legs from your photo tripod, as long as it has a flat top and a 3/8 16 inch mount or a smaller ¼ 20 inch mount (two standards in video) you can mount a small fluid head with capacity of up to 5-8 lbs. If this would be a tripod you'd predominantly use in a studio for sit down interviews for example – this setup may work. However, once you go outside and brace the elements you'd need more stability. There are a few dedicated video tripods for small form factor cameras, that wouldn't necessarily break the bank – those are the Libec TH-650 HD and the Miller Safari R1100 – both of which cost below £300. The Libec TH-650 will do a decent job indoors and on even surfaces outside, but when it comes to more rugged terrains, the Miller R1100 is the one to go with as it's legs can go as low as 9.2 inches off the ground and the tripod will carry cameras up to 11 lbs. Which brings up a good point – how close to the tripod maximum payload should I get? Very often inexperienced videographers will overload their tripods with heavier cameras, thus significantly shortening the lifespan of the head. As a rule of thumb, I'd leave at least 1/3rd of the payload maximum as headroom. What do I mean by that? Let's say your camera, lens and all accessories – your whole rig comes up to a total weight of 9 lbs. Then I'd go for a tripod that can hold at least 12 lbs maximum. If your budget allows it in the £500 range – Manfrotto and Sachtler have some excellent examples of tripods for smaller cameras – such as the Manfrotto 504HD – which comes with ground spreader or mid-level spreader for a more flexible use outdoors on uneven ground. Adjustable fluid drag system for pan and tilt is also present as is an illuminated spirit level. The 4 step counter balance system gives you more precise control over your payload. 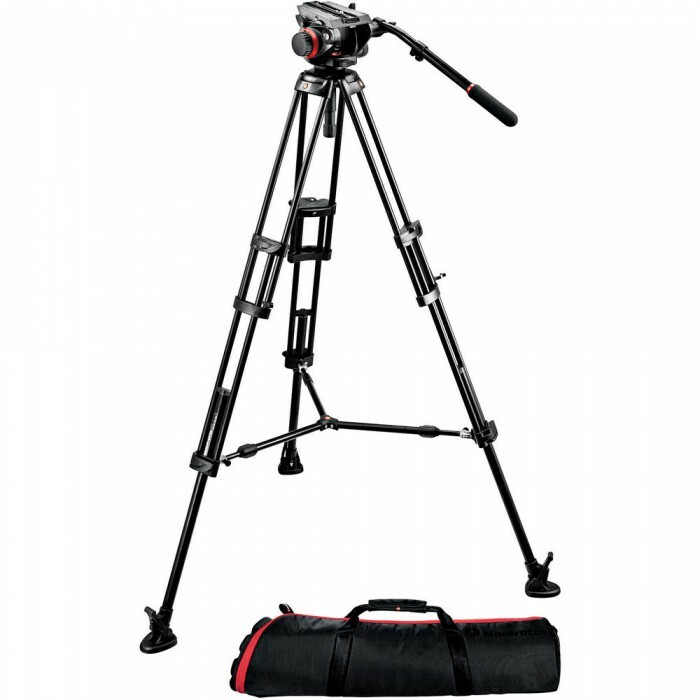 Supporting camera/lens combinations up to 16.5 lbs, the 504HD tripod system is a very versatile solution for not just DSLR's but also cameras like the Canon EOS C100 and Sony PXW-160/180 series. The Sachtler Ace L series are very compact and lightweight, thus perfect for travel. They weigh only 1.7 kgs, and can hold cameras up to 6 kg / 14 lbs. With a 7 step counter balance system, and +90 degrees / - 75 degrees tilt / pan range the Ace L tripods offer world class quality and are perfect for those getting their feet wet into video or transitioning from the world of stills photography. So in summary, when using a DSLR or a small size camera (like the Sony PXW-X70, which is really a handycam style camcorder, but so small and tiny that it weighs the same as a DSLR), first consider the environment you'd predominantly use your tripod – are you more likely to take it outside and brace the elements, or is it more likely you'd use your tripod indoors in a studio setting. Get a ground spreader for studio use, and mid-level spreader for outside. Also consider your payload maximum – are you going to be using another bigger camera with this tripod, or is it likely you'd be upgrading to a one in the near future? If mobility is key – you need a carbon fibre based, which the Sachtler Ace L series offers for example.